Hadassah Medical Organization researchers have identified what happens physiologically during transient global amnesia (TGA), an episodic, rapid-onset amnesia that is characterized by a person’s impaired ability to retrieve and create newer memories, along with temporal disorientation and repetitive questioning that lasts up to 24 hours. 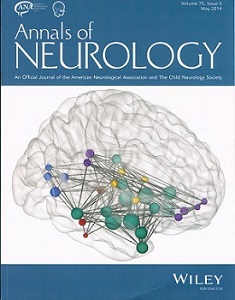 The study findings were published in the May issue of the prestigious journal, Annals of Neurology (Volume 75, pages 634-643) and highlighted on the cover. Although the occurrence of TGA has been known for more than 50 years, despite extensive research, it has been among the most enigmatic phenomena in neurology. There has been no clear evidence for its underlying pathophysiological basis and no imaging that could evaluate TGA in real time. Hadassah’s researchers, however, were able to record brain function of 12 TGA patients, using resting-state functional magnetic resonance imaging (RSfMRI) and conduct connectivity and cluster analyses to detect changes in the episodic memory network during TGA. During a TGA attack, patients are alert and communicative and know who they are. However, their memory is significantly impaired, their disorientation in time is severe, and they engage in repeated questioning about their situation. The Hadassah study results revealed that functional connectivity within the episodic memory network was disturbed bilaterally most severely during the hyper-acute phase of TGA. The connectivity disturbances were specific to the episodic memory network, as no other network was disturbed. Consequently, the method developed in this study may serve for diagnosis of amnesia in real time. “Dr. Arzy, lead researcher of this study, is a specialist at Hadassah’s Neuropsychiatric Clinic and Epilepsy Center, as well as Director of the Computational Neuropsychiatric Laboratory at the Hadassah-Hebrew University Faculty of Medicine. Putting the research in broader perspective, he explains: “The notion of ‘brain centers’ that govern cognitive activity does not hold anymore, since we now understand the brain as a network of computational units, somewhat similar to the Internet. Neuropsychiatric disorders may emerge out of a disturbance in the coherent network activity. Likewise, our results are not only important for amnesia, but the work will be carried on to better understand and further treat other network-related neuropsychiatric disorders such as Alzheimer’s disease, dissociation, and depression. The unique combination of clinics and science at Hadassah and the brilliant team at our lab will surely make this possible.